This five-star deluxe hotel is ideally located in the heart of the city, close to the business district and shopping areas. Set in lush, beautifully landscaped gardens, Le Meridien Abu Dhabi offers a private beach and a swimming pool, which makes it an ideal destination either for business or leisure travellers. 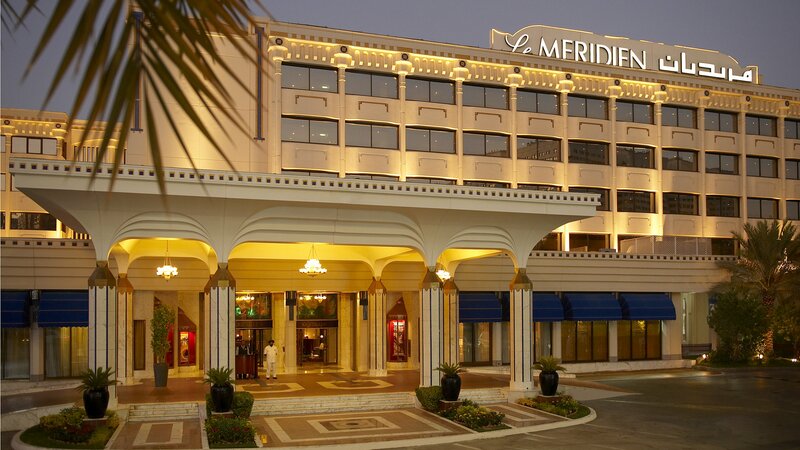 The hotel harmoniously combines exclusive comfort and Arab hospitality with the characteristic Le Meridien charm. 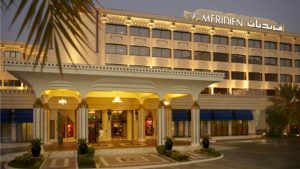 Le Meridien Abu Dhabi features 15 restaurants and bars catering to every traveller's taste. The hotel also boasts an array of facilities for the sports-minded. 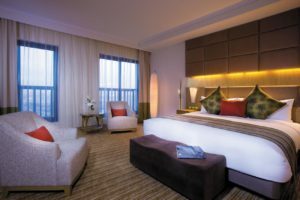 The Yas Island Rotana is conveniently located on the spectacular Yas Island, a breathtaking destination that will take you beyond your wildest dreams. A few minutes away from the Yas Marina Circuit, home to the Formula 1 Abu Dhabi Grand Prix; Yas Links Golf Club, Yas Marina, Ferrari World ,Yas Waterworld and Yas Beach. Our 308 spacious rooms and suites are designed with international flair to suit guests seeking privacy, personalised service and unparalleled quality. 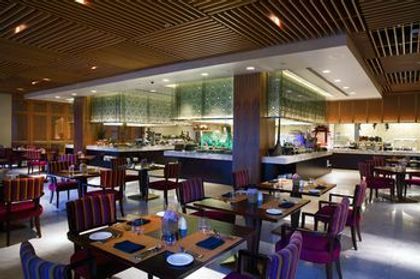 Guests can enjoy modern Indian cuisine at Rangoli and the award-winning Blue Grill offering char grilled steaks. The urban-chic Y Bar is a sports-themed bar and features giant TV screens with all the latest sport action. Leisure facilities include a modern and well equipped gym, sauna and steam room, a floodlit tennis court, an outdoor pool, children lagoon pool and playground and free beach access a Yas Island Beach Club. 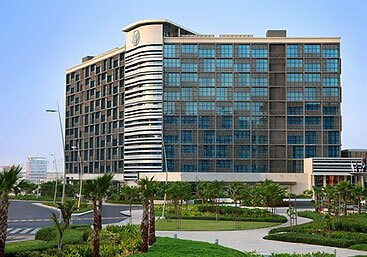 The renowned Radisson Blu 5* is ideally located in the heart of the city, only 30 minutes’ drive from Abu Dhabi International airport. Popular Abu Dhabi attractions, including Marina Mall, Abu Dhabi Corniche and the Heritage Village are just a stroll away from the hotel. 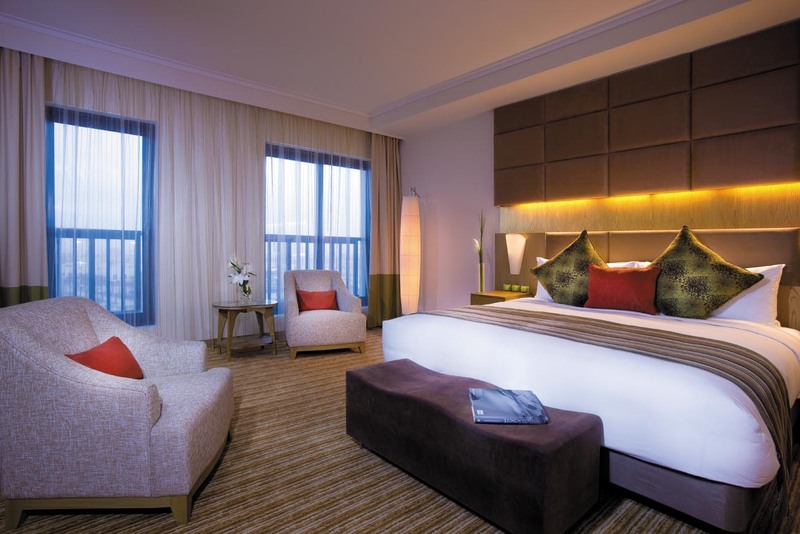 With 327 elegant rooms and suites overlooking the Arabian Gulf and the skyline of Abu Dhabi, The Radisson Blu is the ideal place to stay in Abu Dhabi. 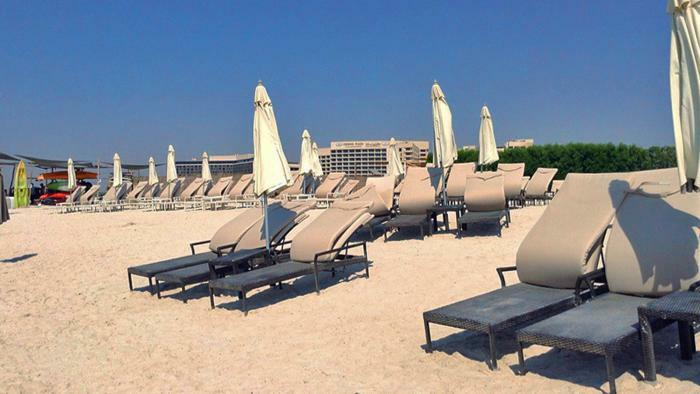 Over 15 restaurants, lounges and bars have marked Abu Dhabi with award winning dining and entertainment options.The Hiltonia Beach Club features a white sandy beach, three swimming pools and water slides, a luxurious spa, a modern fitness centre and a range of activities including tennis, yoga and water sports with sailing, surfing, island tours and fishing trips. 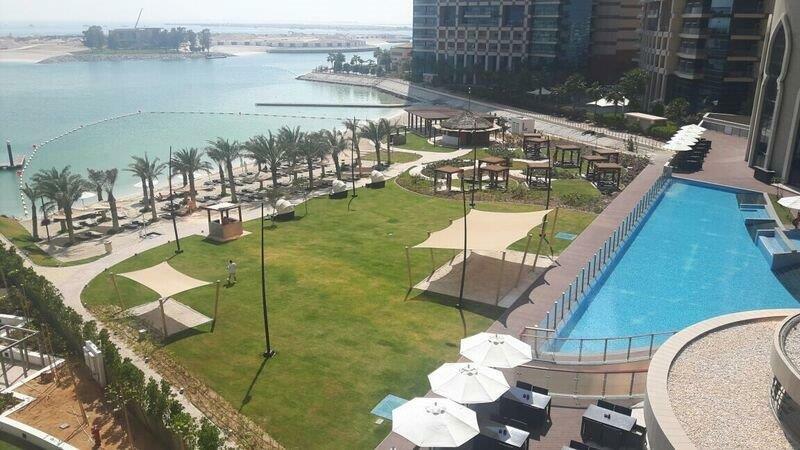 Unwind it this luxury hotel situated centrally located in Abu Dhabi with its own private beach facilities. Dine in world-class restaurants on Italian, French-Polynesian, German and Indian cuisine, plus continental and seafood specialities. Book a treatment in the relaxing spa and bask on the private beach . 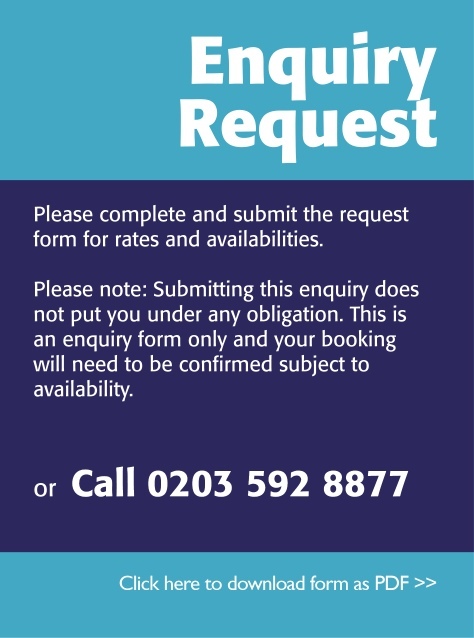 Facilities include a beach club, two swimming pools, fitness centre, flood-lit tennis courts, crèche and children’s play area. 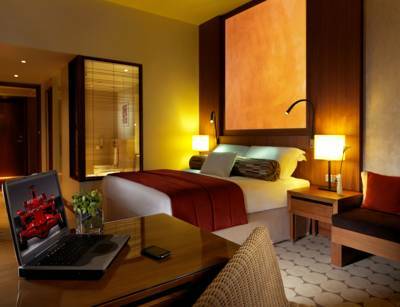 Make yourself at home in one of the 565 air-conditioned rooms featuring minibars. Satellite programming provides entertainment, and wired and wireless Internet access is available for a surcharge. Bathrooms have handheld showerheads and makeup/shaving mirrors. Conveniences include laptop-compatible safes and desks, as well as direct-dial phones with voice mail. All Inclusive plan includes buffet breakfast, lunch and dinner at the Essence restaurant, selected brands of mineral water, soft drinks, beer, wine, spirits served by glass at Essence with meals and at the Bay View and the Pool Bar from 12pm-11pm. 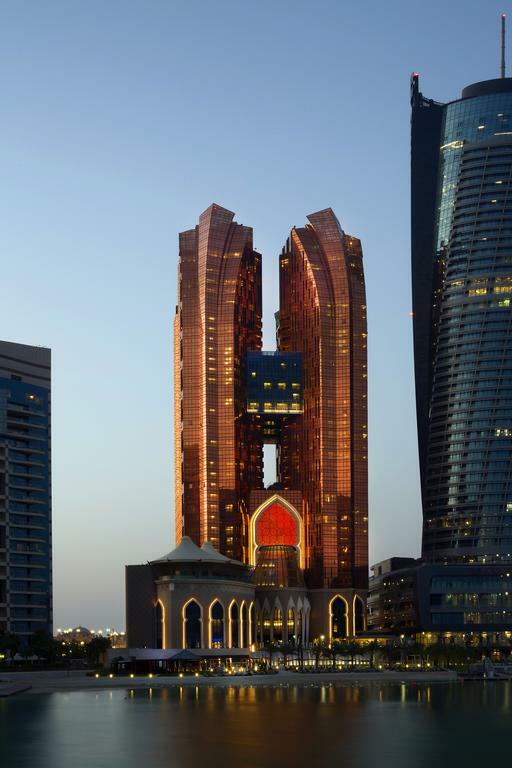 Overlooking the Arabian Gulf, the Sheraton Abu Dhabi Resort & Towers is strategically located in Abu Dhabi's most prestigious and refined neighbourhood. Our hotel is a testament to understated elegance with a distinctive design, superb location, and outstanding service. We are within walking distance of the shopping and commercial district and only 37 kilometres from the airport. Spacious quarters with unprecedented views, the finest contemporary international cuisine, five-star accommodations, and full-fledged conference and banqueting facilities have helped us earn a reputation as one of the finest hotels in Abu Dhabi. Overlooking either the turquoise sea or the magnificent city, all 272 guest rooms are spacious and elegant. 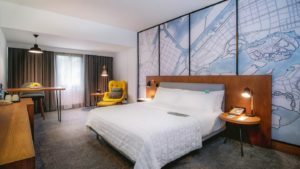 All feature individually controlled air conditioning and luxuriously large bathrooms with individual shower cubical and their own private veranda or balcony. Choose from 140 deluxe rooms, six junior suites, two Diplomatic suites, three Royal suites, and one Presidential suite. Junior suites are one-bedroom suites with a dining and living area. Diplomatic suites offer two bedrooms, a lounge area, dining area, and pantry. 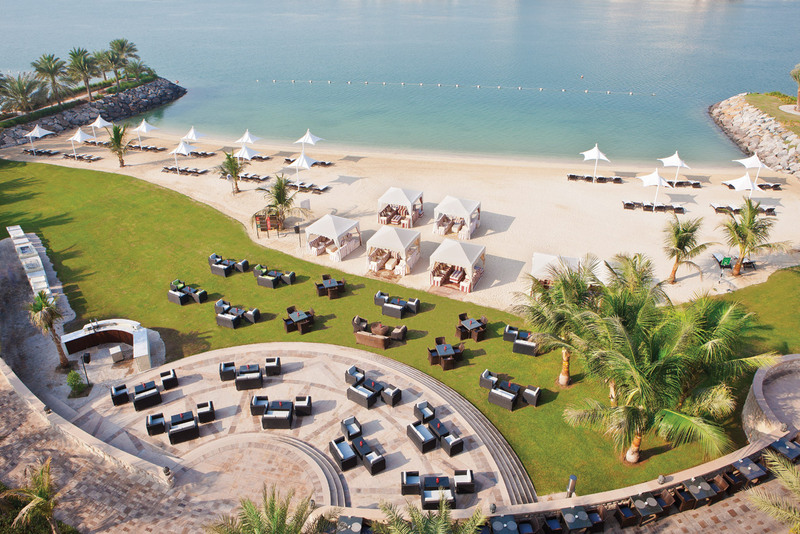 Discover a truly dynamic destination in Abu Dhabi. 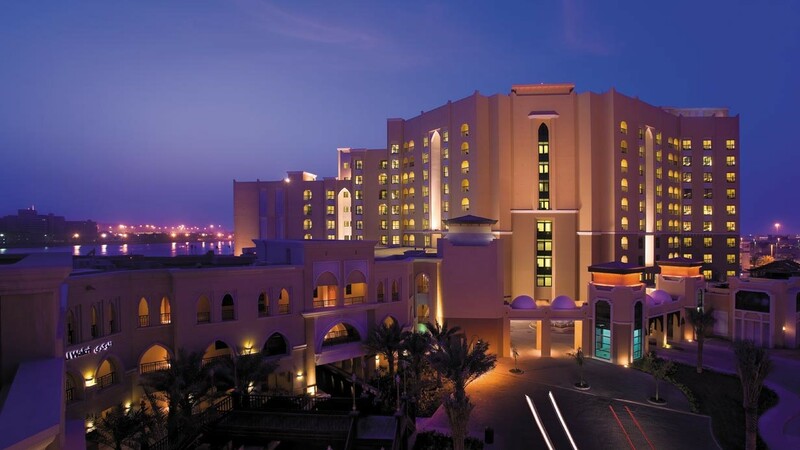 Conveniently located in the Al Raha Beach area, overlooking a pristine ribbon of Gulf shoreline, The Al Raha Beach Hotel 5* is the ideal location for the leisure traveller. Perfectly situated, our acclaimed hotel near Abu Dhabi airport is a mere 10 minutes from the world-class motor sports F1 racetrack, Ferrari theme park, retail mall, and a new 10-lane main access high way providing faster access to downtown Abu Dhabi. 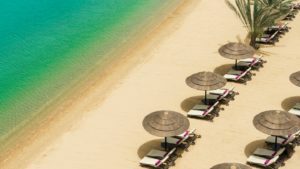 With special touches like a full-service concierge and complimentary shuttles to the main shopping malls, The Al Raha Beach Hotel offers effortless access to the best Abu Dhabi has to offer. 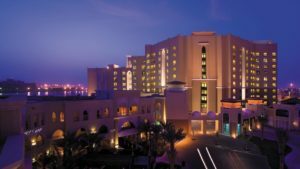 Traders Hotel Qaryat Al Beri Abu Dhabi makes for an ideal base with its luxurious accommodations, great service and central location. 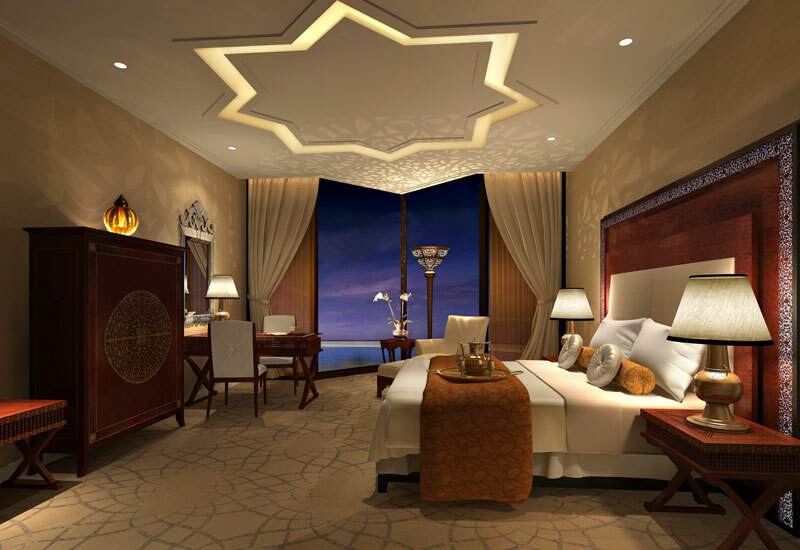 Guests of this contemporary hotel can visit the nearby Sheikh Zayed Grand Mosque and the historic Al Maqtaa Fort. Sports fans are sure to enjoy the Zayed Sports City that features the Abu Dhabi International Tennis Complex, Abu Dhabi Ice Rink, Khalifa International Bowling Centre and Sheikh Zayed Stadium, which hosts football games and athletics. 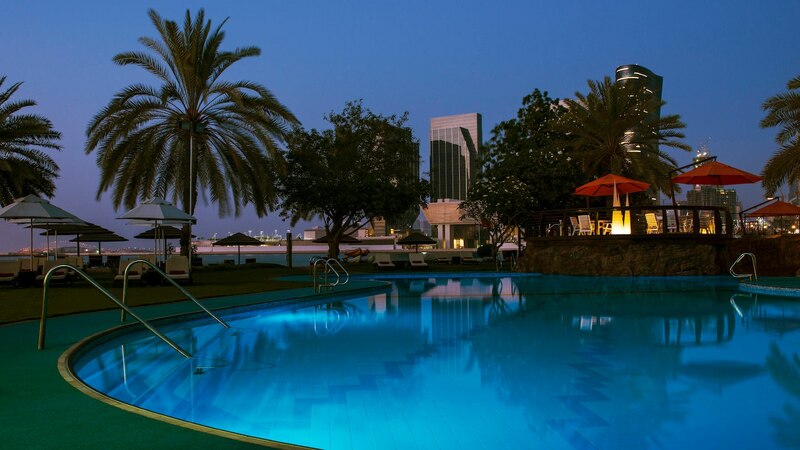 Conveniently located, Traders Hotel Qaryat Al Beri is set on a private beach and is several minutes from the Abu Dhabi Golf Club and is also within close proximity to Sheikh Zayed Cricket Stadium. Abu Dhabi International Airport is 9 miles from the property. The 301 exquisitely appointed rooms and suites are outfitted with cable LCD TV, Internet access, in-room safe, telephone, coffee- and tea-making facilities and private bathroom. The on-site Afya serves diners of Traders Hotel an array of local and international favourites in an urban chic and modern setting. 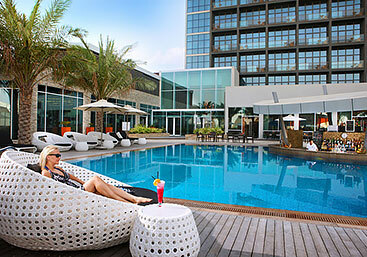 Also available are the Lobby Lounge and Pool Bar. Traders Hotel Qaryat Al Beri Abu Dhabi patrons can work out in the fitness facility or take a dip in the outdoor swimming pool. With iconic architecture and an exclusive address on Abu Dhabi's Corniche, The Bab Al Qasr impresses on all levels. Luxurious guest rooms, suits, and residences offering premium comfort and amenities. 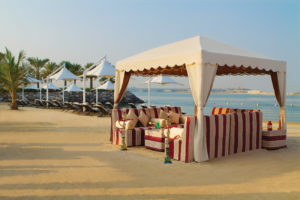 One of the capital's largest private beaches and a sumptuous Spa provide guests with the ultimate in urban relaxation. The hotel's multiple restaurants and cafes extend from signature dining to authentic Arabic coffee experience while the stunning ballroom provides a very special venue for celebration. A signature of authentic hospitality that is not easily forgotten.